Usually I keep my beard very short and trim but recently I’ve been growing it out longer and fuller. As it gets thicker I realize I needed to step up my beard maintenance. 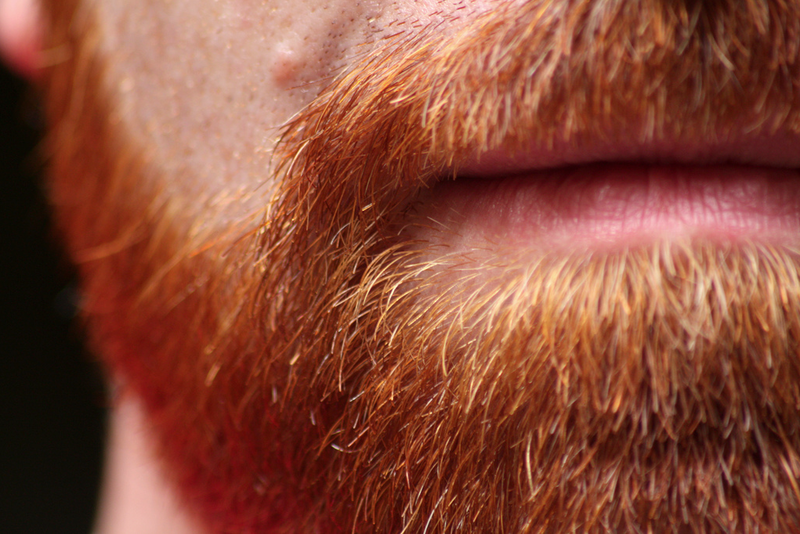 I want a thick and soft beard that is admired not a scratchy pube beard. I’ve been using some generic hair conditioner but I think I need to step up my game. Here is my journey into the world of beard maintenance. Coming from somewhat of a skincare background my mind automatically went to “what products should I buy?” Off to the mall I went to seek oils, lotions, and potions. Much to my surprise I all I found was disappointment. There are many products for men but all of them center around shaving. I went into store after store that openly told me then didn’t have any products specifically designed for beards. Many offered aftershave lotions/oils that could be used for beards although they were designed for smooth skin. There was such a lack of beard product that sales clerks at two boutiques referred me to their competitors because they simply didn’t have anything to fulfill my needs. With the beard trend so trendy and popular I thought someone would have jumped on the band wagon and designed a beard softener. This is a market ripe for an upstart. There is little to no competition from major retailers. Did they forget about beards? I ended up buying a trial size Lavender Oil Aftershave Balm at The Art of Shaving. AOS also recommended their rosemary shampoo and conditioner which Russ bought. The Art of Shaving was the last store I went to and it was there that I realized that the world of skincare would not provide the solutions I was looking for. 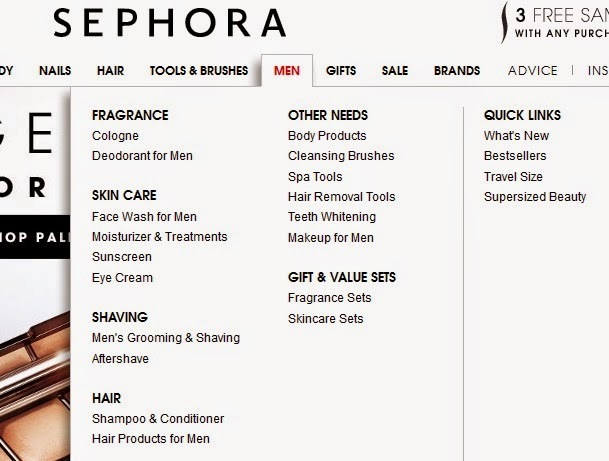 Mainstream retailers were stuck in the world of razors and shaving creams. I would have to investigate the world of women’s hair care products to find what I was looking for. After a quick stop at Walgreens I also picked up Garnier Fructis’ Sleek and Shine Moraccan Sleek Oil Treatment. After a day that lacked a solid conclusion to my journey I decided to make this an ongoing series to give you updates on the product I try. 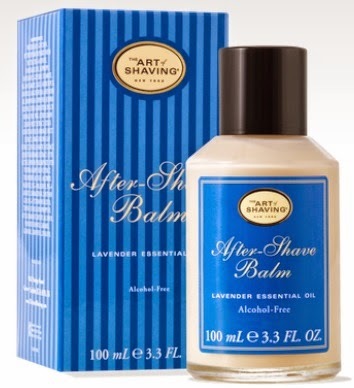 Art of Shaving’s Lavender Aftershave Balm. 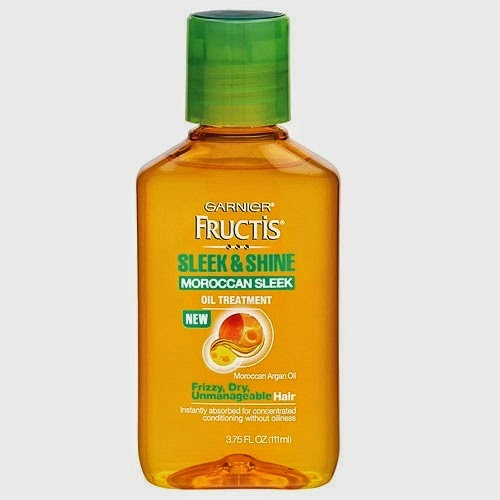 Garnier Fructis’ Haircare Sleek and Shine Moraccan Sleek Oil Treatment for Frizzy, Dry, Unmanageable Hair. Price: $5.99 for a $3.75oz bottle.